In the past, the rules of SEO keywords were fairly static with only a few changes here and there. Now, times have changed and it’s becoming increasingly difficult to build up serious traction with the same old approach to keyword research. The internet has grown crowded and competitive, and this means that 2019 is the year for reinventing your keyword strategy. Here’s what you need to know about the importance of a keyword strategy for search engine marketing and how to optimize your keyword research for success. In order to build visibility online, you need to find a way to communicate to search engines what your business is all about. Their goal is to put the most relevant and trustworthy results in front of their search engine users. Your job is to provide them with information that makes you one of their prime choices. Keywords are crucially important to SEO. Think of keywords as little clues that help Google understand more about you and your intent. Keywords help to position you in front of the right audience but not all keywords are created equal, and spending time on a little research will help you build a strategy that produces the search result rankings you’re looking for. The thing is, a successful keyword strategy today looks entirely different than it did just a few years ago. The digital environment has changed, and so have consumers. Here are a few tips for keyword research that work for today’s approach to SEO. There’s a lot of information out there about how to establish a digital presence. Practically everything you read will preach the importance of content. Because of this, there are businesses out there creating content with the best of intentions but still falling abysmally short on results. This is because they’re approaching their keyword strategy with blinders on. It’s not enough to just take some rough guesses at the most effective keywords to use. There’s just too much noise and competition cluttering the digital landscape to take chances like this. What you need is an arsenal of keyword research tools that help you target in on the most effective keywords. Most content creators have a few tried and true tools that they use, but it’s a good idea to try out a few different ones to discover which tools provide you with the insights you’re looking for. Begin by checking out Google’s Search Console or signing up for a trial of Ahrefs Keyword Explorer. “Intent” is an important word to remember when you’re doing keyword research. In the past, businesses were expected to match keywords almost exactly within their content, which often created something very clunky or robotic sounding. A while ago, Google began to provide solutions by solving the issues that occurred when stop words were integrated with keywords. Today, search engine capabilities have become sophisticated enough that they’re able to bypass exact keyword phrases and pick up on the underlying intent. Intent is important because Google wants to present their users with the results that they’re really looking for. On your end, this means considering the underlying intent of the searches being initiated by your target audience. Try pouring through a couple sites, like Quora or Facebook groups, where you can do a quick search of topics related to your industry and can get an idea of the questions or problems your audience want solutions for. Use these intent insights to fuel your keyword research strategy. When doing your research, it’s time to step away from thinking of keywords as singular, stand alone entities. You’ll find that in 2019, long-tail keywords are going to bring more highly qualified traffic to your door. The difference between short tail and long tail keywords is based entirely on length. A short tail keyword might be just one or two words, whereas long tail keywords stretch out – often including at least 4-5 words. The reason long tail keywords generate better traffic is that the search is more targeted. Take for example, the difference between a search for “Mexican restaurant” which might produce pages of results and a search for “Mexican fusion restaurant with patio seating”. The long tail keyword is going to produce limited results but they’ll be exactly what the search engine user is looking for. Researching to implement more long tail keyword phrases into your content is also a great way to boost local SEO. Does this mean that short tail keywords are dead and don’t deserve your time? Not at all. Still, you will want to change your approach to researching short tail keywords by looking at clusters of related short tail keywords that all carry the same intent. These types of keyword clusters are great for creating blocks of powerful niche content for SEO. There are a few important metrics you need to look at when researching keywords and you’ll hear over and over that you need to find the perfect keyword strategy that works for your business on an individual level. This is all true but it’s worth the investment of your time to take a peek at what your competitors are doing with their keyword strategy. Competitor analysis, which provides you with insights on the keywords your competitors are ranking with, gives you a bigger picture perspective and might provide you with deeper insights on your audience’s search intent. 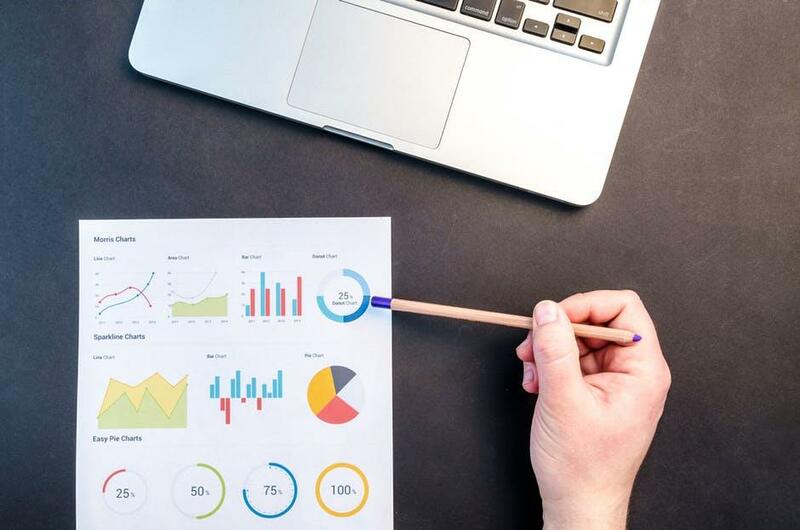 You might discover something that will also work for your business or these analytics could help you set yourself apart. Are you ready to leave all your competitors in the dust with a keyword strategy that performs? We’re an award winning digital agency that’s not afraid to roll up our sleeves and get to work on discovering the keyword strategy that’s going to propel your business forward. Contact Knowmad today to learn more about SEO services and what we can do for keyword performance.